Nativity scenes are a common fixture during Christmas. 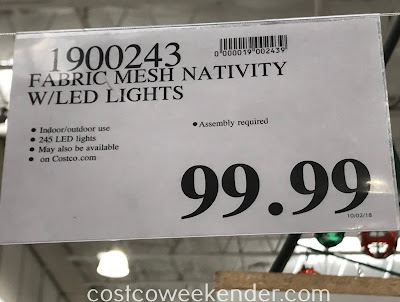 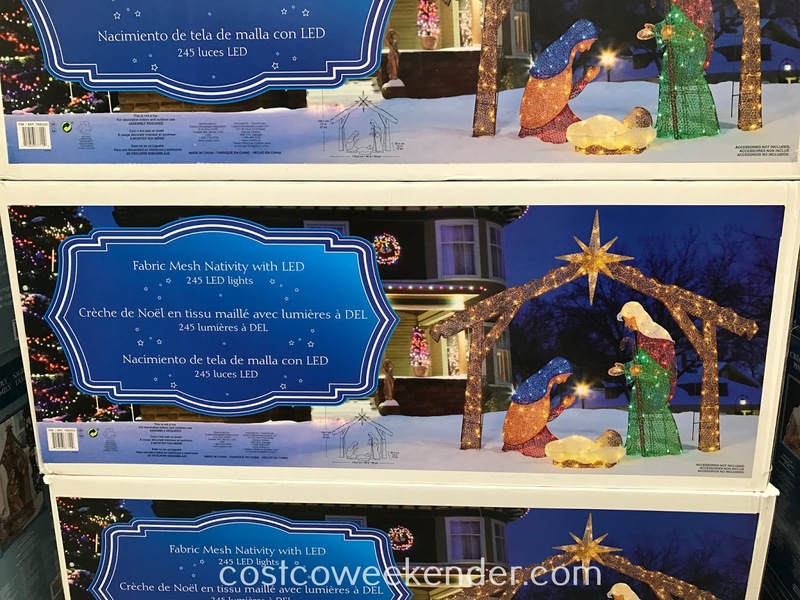 It's a good thing Costco has the Fabric Mesh Nativity with LED just in time for Christmas. 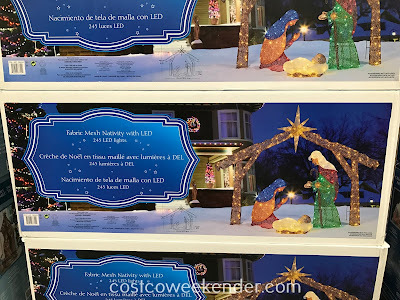 It's great for the holidays with its bright lights and can be placed inside your home or outside for everyone to see. 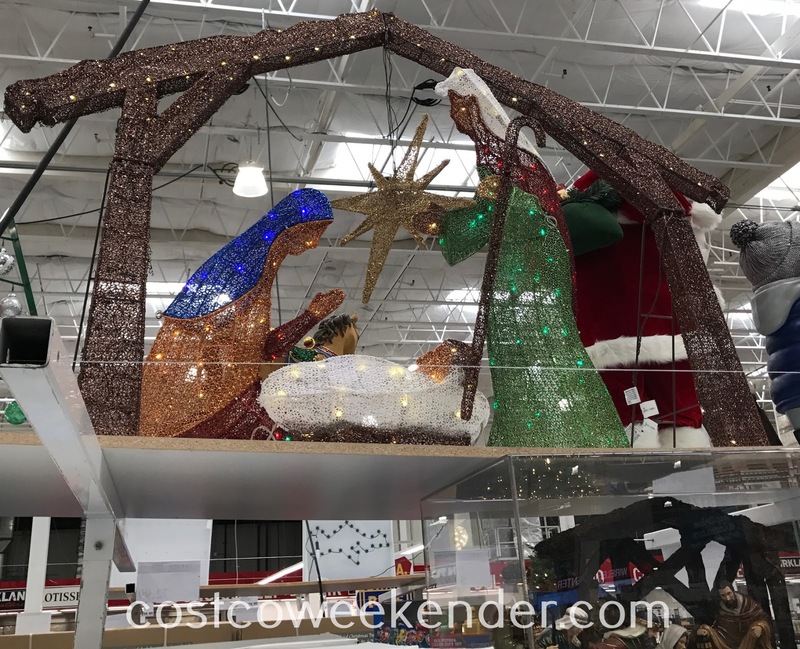 It features the Star of Bethlehem, Mary, Joseph, and the little Baby Jesus in a manger, so that you and your family can celebrate Christmas.